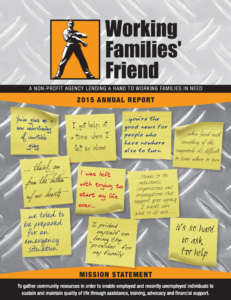 Working Families’ Friend produces reports annually to keep donors and interested parties up-to-date on the agency’s successes over the course of the previous year. 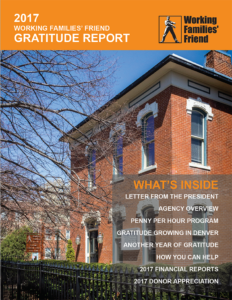 These reports are the individual donor’s source for news and information on our nonprofit organization and what (and to whom) their charitable donations have gone toward. 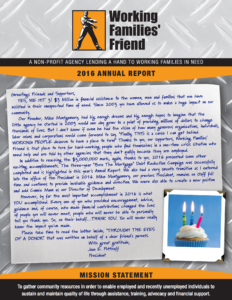 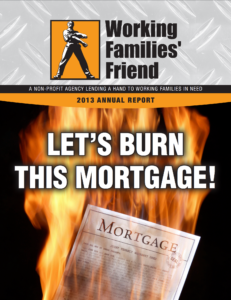 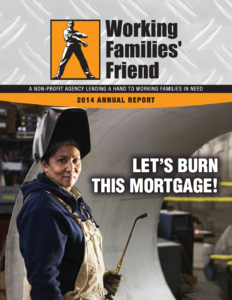 Please click to download and view any WFF Annual Report as a pdf.